Scientific & practical cyber security journal is created on the base of “Scientific Cyber Security Association (SCSA) “, the main direction of the journal is cyber security. 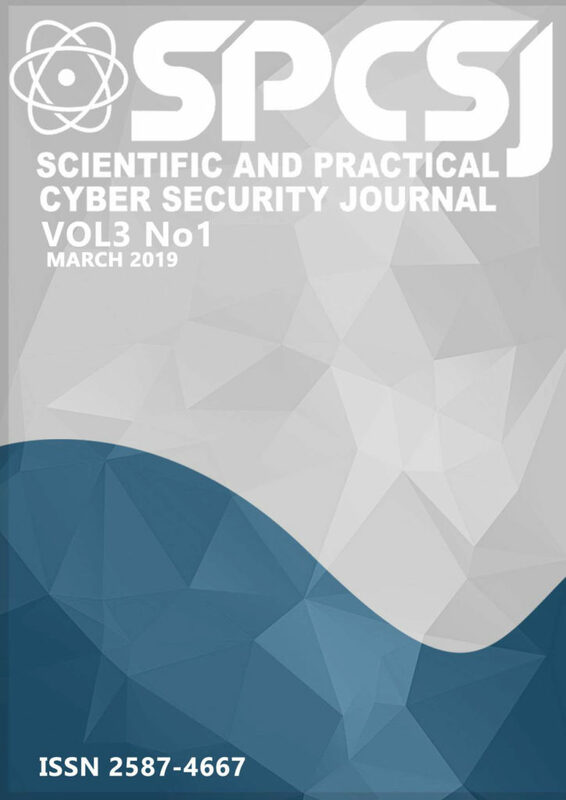 Scientific & practical cyber security journal is a new international, peer-reviewed journal publishing in-depth articles and case studies written by and for cyber security experts. It reflects the relevant innovations in cyber, drawing on scientific and practical experience in academic, government, corporate, finance, military and not-for-profit sectors. Journal’s editorial board consists of cyber security and other technical fields professors, experts. Publications can be submitted in Georgian, English and Russian languages. Scientific-practical journal is published once in quarter.